Dave Grohl is still recovering from the broken leg he suffered falling off a stage last month. 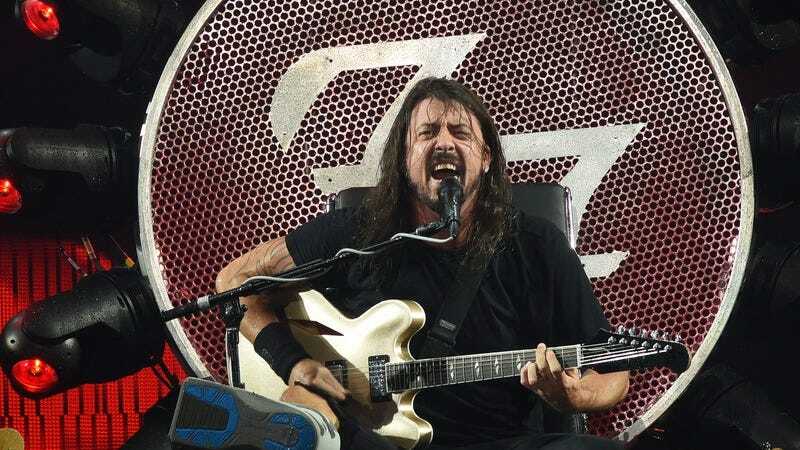 But after a few canceled tour dates, Grohl was cleared to perform again, for which he wanted to thank Lew Schon, the surgeon who allowed him to resume fighting Foo. The always-upbeat Grohl pointed to the silver lining in his injury, claiming, “this throne and these crutches and these audiences make us play longer and harder than we ever have.” The band will, however, take a break allowing Grohl’s leg to heal a bit more before they resume the tour on August 12 in Edmonton, Alberta.